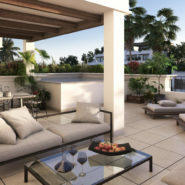 The latest and logical next step following the overwhelming success of Lomas del Rey Phase I is the launch of 24 impressive luxury homes expanding the existing urbanization, Lomas del Rey Phase II. 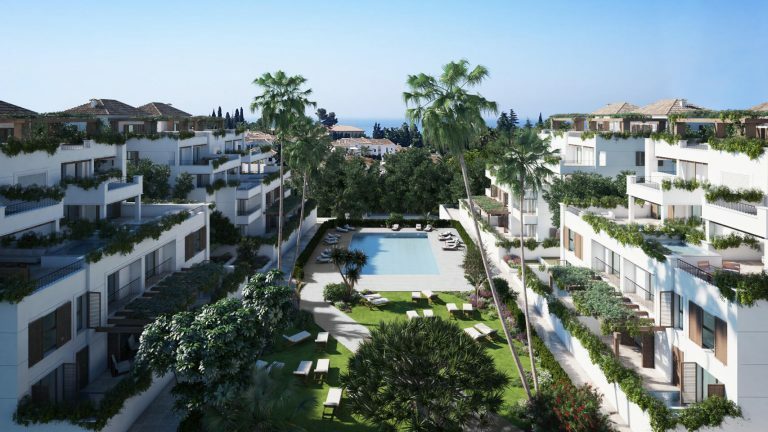 Located on the Golden Mile in Marbella, near the Saudi Arabia’s King ‘s Palace this development is just a stone’s throw away from the exclusive Marbella Club and Puente Romano hotels and just a few minutes from Puerto Banus at only 800 meter from the beach. 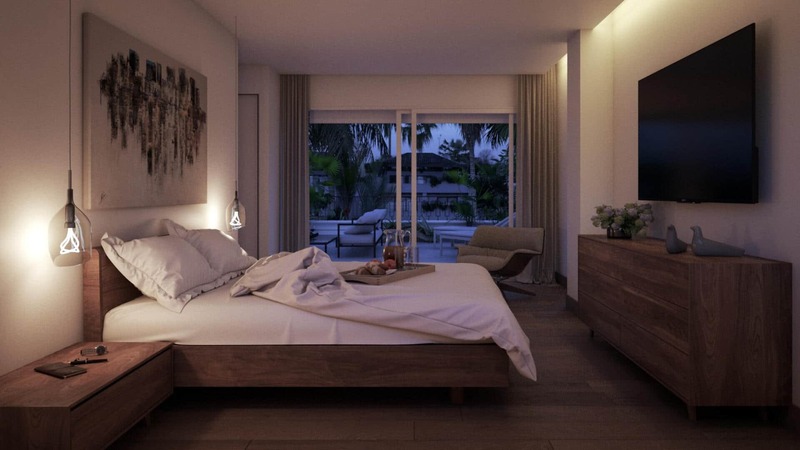 The compound is very private, characterized by its 25,000m2 lush tropical gardens, beautiful views of the sea and four swimming pools. 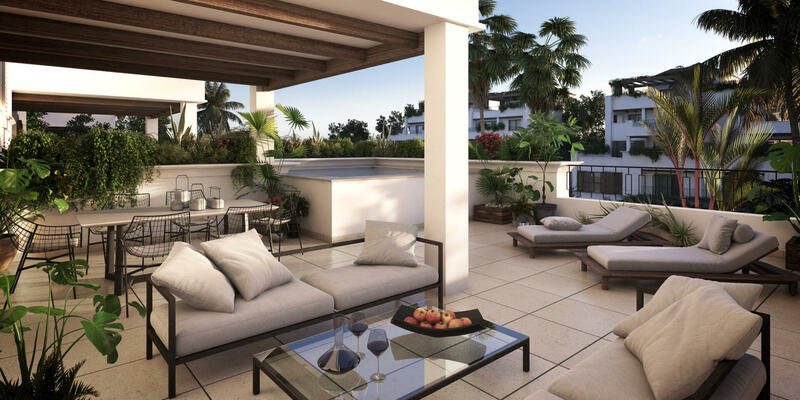 Lomas del Rey apartments are spacious and exclusive. 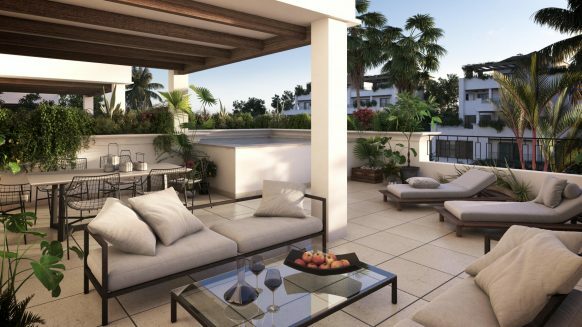 Two and three bedroom duplex and one floor apartments and penthouses are available with the finest qualities and large terraces, some with own pool form part of an exclusive urbanisation of 24 homes. 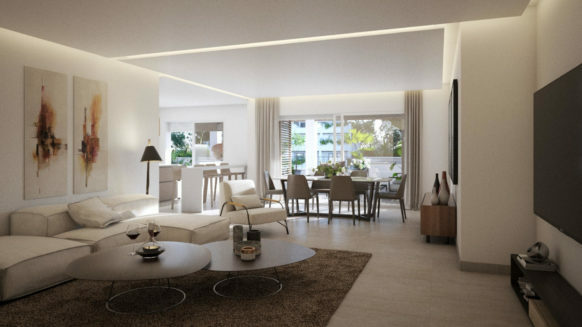 Kitchens are fully equipped with all electrical appliances included. 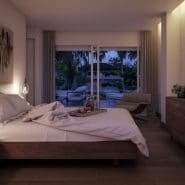 Double glazed windows are finished with a special hard wearing treated wood and include electric blinds. 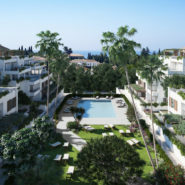 Lomas del Rey has 24 hour security with 27 surveillance cameras throughout the complex, in addition to the regular staff of gardeners and system maintenance, a service consists of a series of trustworthy women. 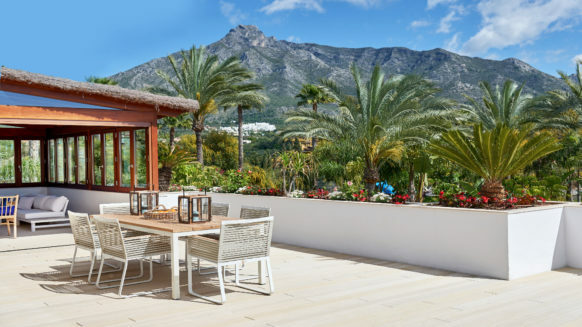 With direct exit to the Marbella ring road. 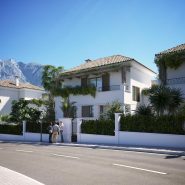 Three minutes from Puerto Banus, five minutes from Marbella center and ten minutes from 8 golf courses. 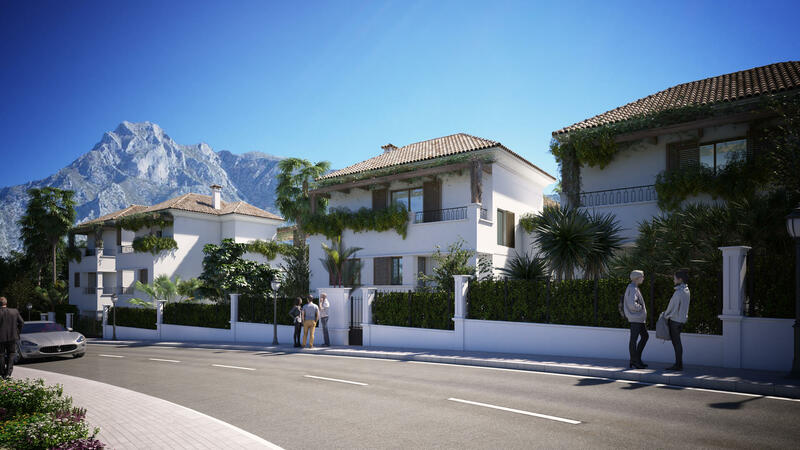 Very close to a school bus stop with connections to all schools in Marbella and surroundings. Close to the rest of the world. Having direct access to the highway makes the international airport of Malaga a 40 minutes’ drive. 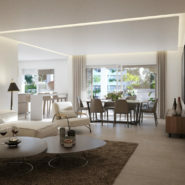 Close to Puerto Banus, the luxury yachting Marina of Puerto Banus, famous for its nightlife and home to designer shops. 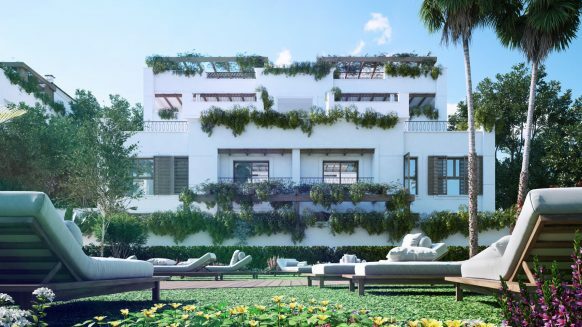 With its fabulous Beach Clubs, large variety of restaurants and celebrity filled nightclubs, it is easy to see why this place is so popular, all year round! 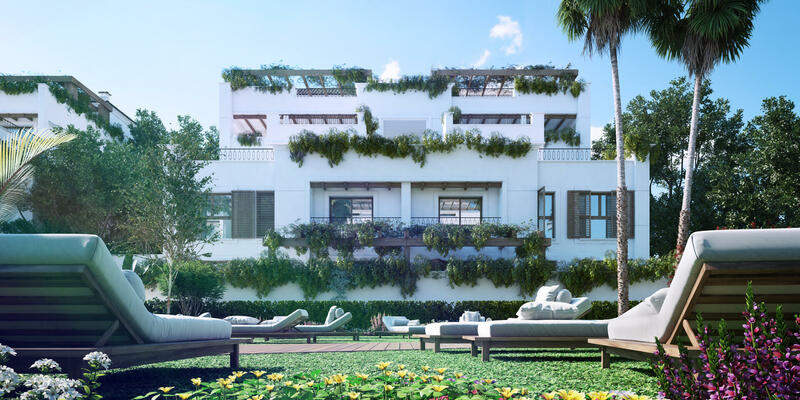 A true oasis in the centre of Marbella. 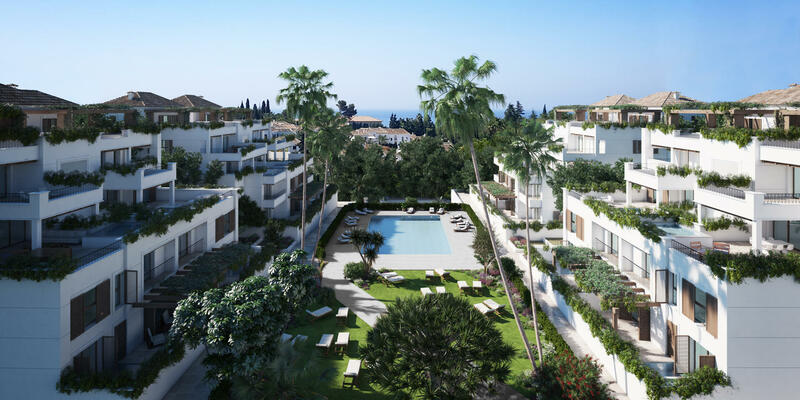 Would you like to pay a visit to see these properties within Lomas del Rey for yourself? Please contact us we would we be happy to open the door for you.